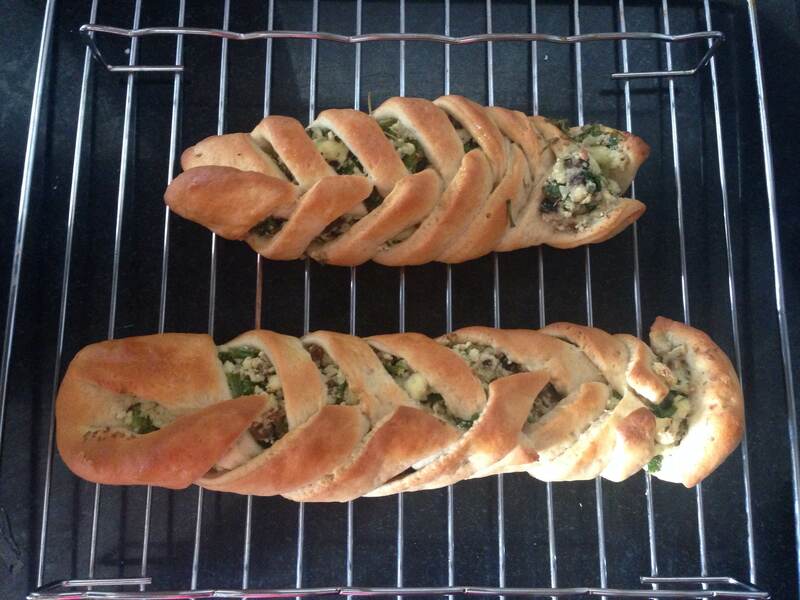 This is a simple stuffed bread / masala bread. 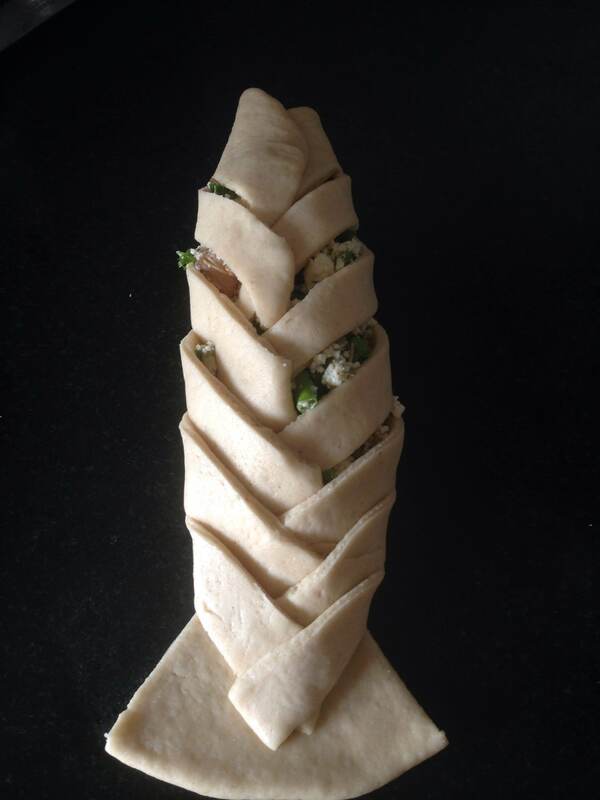 here we bake the bread with some spicy stuffing in it. You can have a sweet stuffing as well. 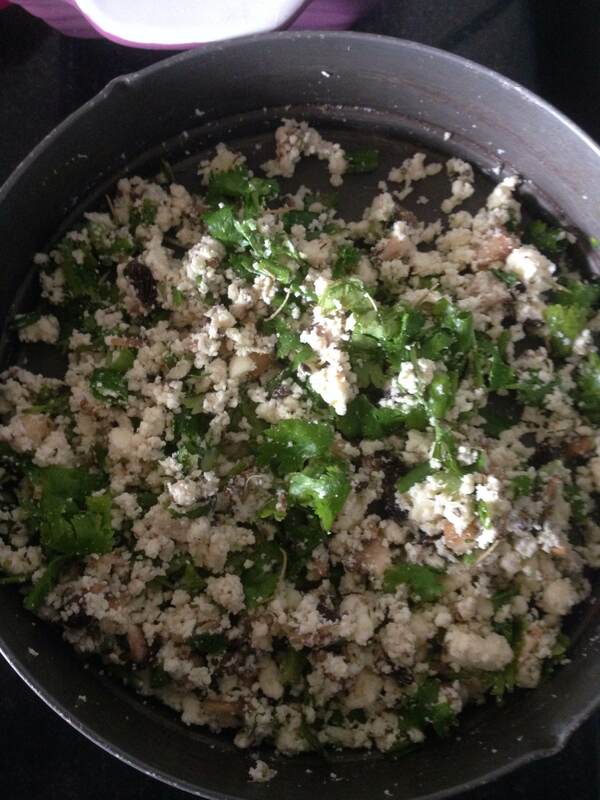 I used a mix of paneer, mushroom, herbs, spring onion, coriander leaves, chilly powder and salt. I did not cook or fry it. I just mixed all of the stuffing in a bowl. Use this bread recipe for this bread. 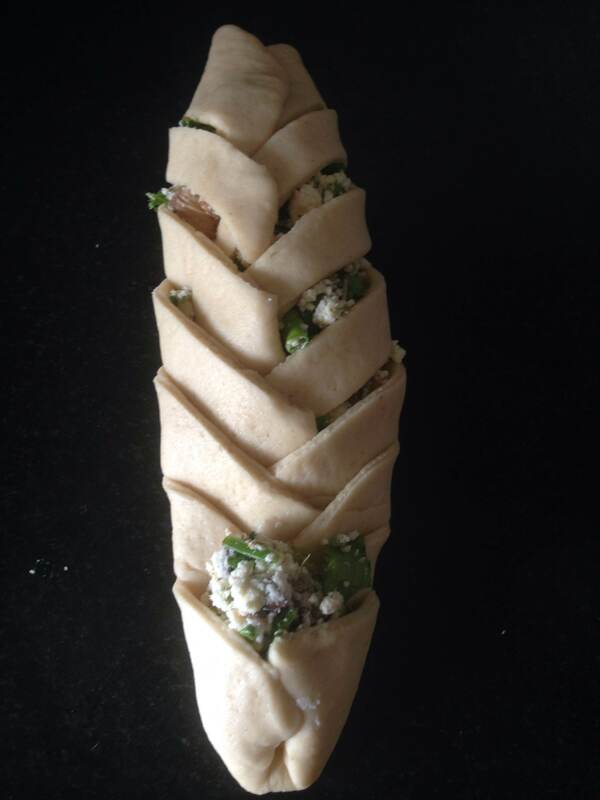 After Step No.8 in that recipe, roll out the dough into a thin sheet. 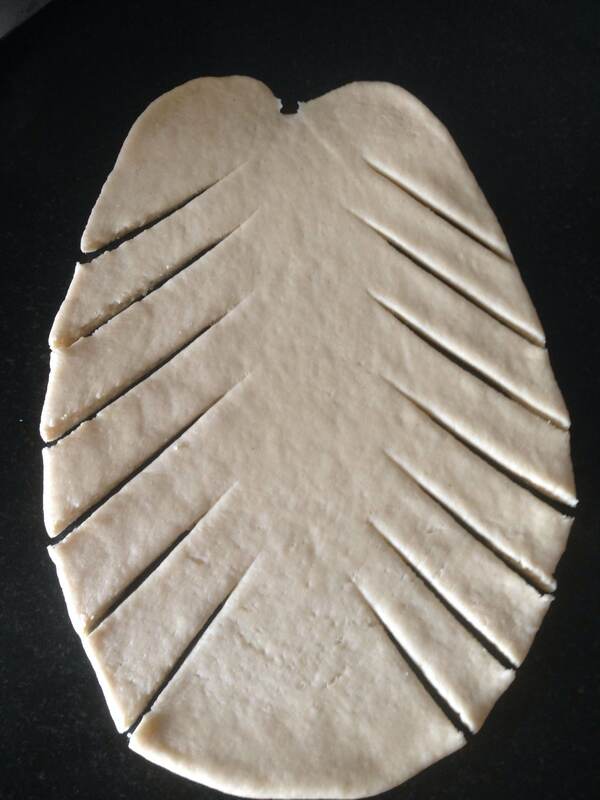 Make cuts in the dough on both sides with a pizza cutter or a simple knife. Try to keep the cuts on both sides at the same level. Place the filling in the centre. Do not keep too much since the filling can spill out. 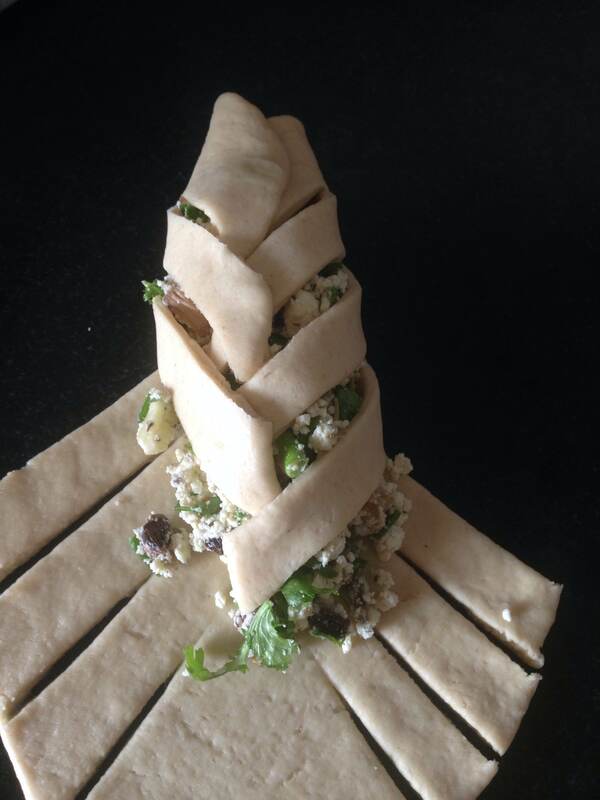 Start covering the filling with each strip of dough till the entire filling is covered. 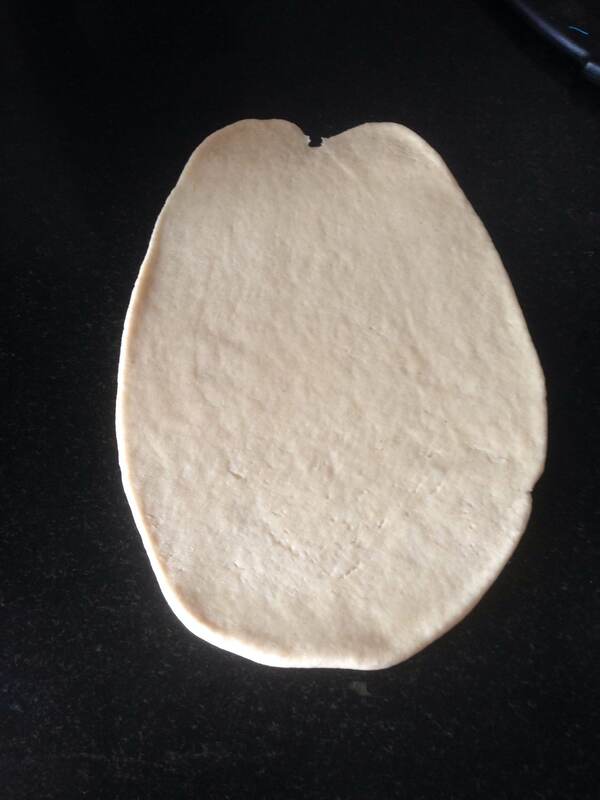 You can either leave the last part of the dough as is to take the shape of a fish. You can cut and place some olives as its eyes and carve a mouth. 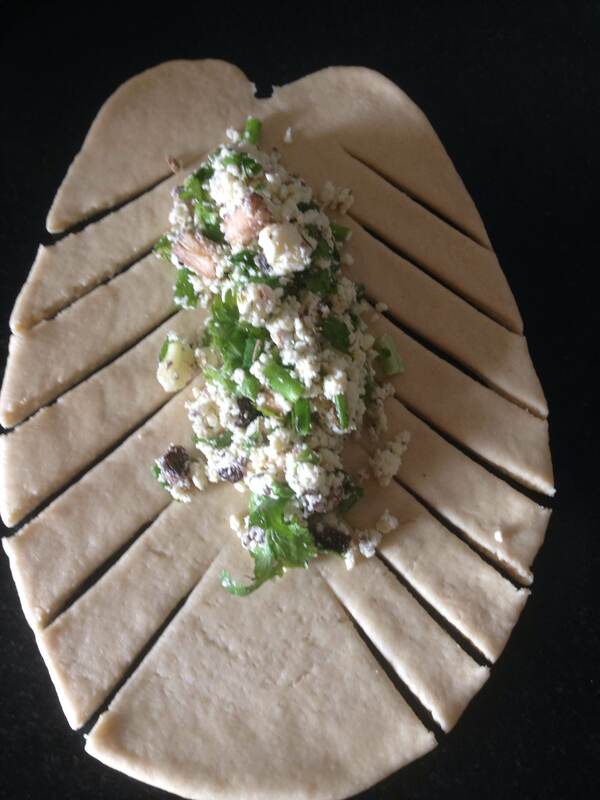 Else you can cover up the entire dough after adding a little filling at the tail end. Leave it covered by a damp cloth for 30 minutes. Brush the dough with milk or a beaten egg just before baking. Bake for 15-20 minutes till the top of the bread turns into a nice brown color. If you are adding vegetables like potatoes, onions, etc., then you need to fry them in a little olive oil before stuffing them in the bread.